Postmedia abruptly ended three days of bargaining Thursday with the Ottawa Newspaper Guild, saying it would seek conciliation because talks were going nowhere. ONG President Debbie Cole said it was no wonder. The company had made it clear from the outset that it wants to gut the contract. “Not only were they demanding takeback after takeback, they wanted the ability to re-open the contract part-way through to take away more,” she said. The CWA Canada Local, which represents 62 workers in Editorial, Reader Sales & Service, Financial Services and Building Maintenance at the merged Ottawa Citizen/Sun, is well into a second year without a new collective agreement. Cole said the ONG executive will meet on Monday, with an eye to holding a general membership meeting later in the week to discuss the situation and develop strategy. It is expected it will take at least a month before a conciliator is appointed and then several more before talks could resume. Martin O’Hanlon, president of CWA Canada, had warned the company last month when it imposed significant cuts on non-union staff not to take the same approach in bargaining. “If Postmedia tries to exact these concessions from unionized staff, they are going to have a battle on their hands,” he said. The company on Tuesday opened talks with the ONG by attacking the financial clauses in the contract and sought changes to job security, scheduling, benefits, pensions, vacation, holidays and sick leave. This was a third round of meetings since the contract expired in 2015. Talks under way in January 2016 were delayed until the fall by the Postmedia announcement of the merger of newsrooms in four cities. They were postponed a second time in October when the company issued a dismal quarterly report and said staff would be cut by another 20 per cent. 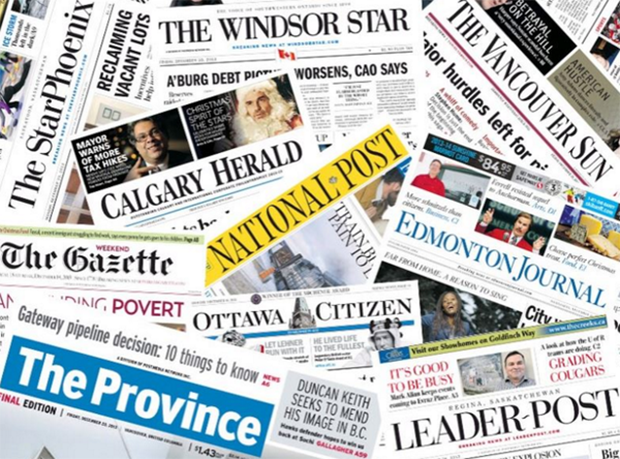 The 20-per-cent cut translated into layoffs in January at the Citizen, the Montreal Gazette and the Windsor Star, all of which have staff who are represented by CWA Canada. The Citizen lost a photographer, two reporters and a section editor. “As a journalist, I’m disgusted and appalled because … they’re gutting Canadian journalism,” O’Hanlon told iPolitics in an interview. “It’s horrendous. It just makes me sick to my stomach every time these pigs do this and it’s so unnecessary because if they would just … invest in this company, or if they’re not going to, sell the damn company. We could find local owners and set them up and run them as non-profits or foundations … at least not as these hedge-fund money-grubbing entities.